The former Governor of California AKA ‘The Terminator’ Arnold Schwarzenegger, who would have thought a bodybuilder with a surname that no one exactly knows how to pronounce, could become the Biggest Stars on the planet. Arnold Schwarzenegger is a 70-year-old father of five kids, two daughters. and three sons. He got married to the Maria Shiver niece of President John F. Kennedy. Arnold’s personal and family history is quite complicated. In this article, you will find some unanswered questions related to Arnold Schwarzenegger’s Sons and Daughters. Who Arnold Schwarzenegger have dated before he got married? When did Arnold Schwarzenegger got married? Did he really cheat on Maria Shiver? 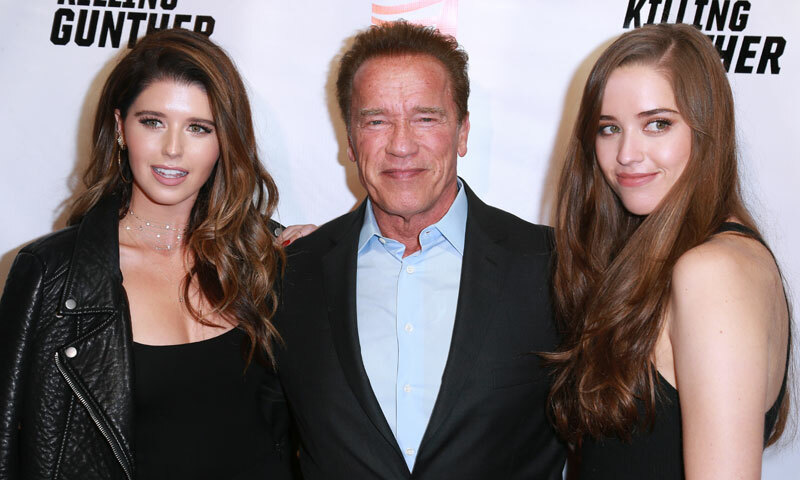 Is Arnold Schwarzenegger’s daughter also an illegitimate child? Is Chris Pratt dating Kathrine Urice Schwarzenegger? Famous for his heavy Australian accent, the Hunk of charm Arnold Schwarzenegger was once involved in a relationship with an English teacher name Barbara Baker. People came across to know about their relationship when Barbar herself wrote a memoir entirely based on the time they spend together. During their relationship Arnold used to live with her, they broke up in the year 1974. The Memoir is named, “Arnold And Me: In The Shadows Of Australian Oak” written by Barabara Outland Baker, in 1977. In the book, she expresses her long odyssey, of her being obsessed with Arnold. When she first met the Australian Hunk, she was just 19 years old. From the start, Barabra was really happy with Arnold, he was an Ideal Man that she was looking for. But she only came to know to about his unfaithfulness, after they broke up, (whole other scenario, explained in next paragraph). She thoroughly explained her troubled and unpassionate love life in her book. In of the press conference, a reporter asks Arnold for his words on the Memoir written by his ex-girlfriends. Schwarzenegger actually contributed his part in the book, he said, that for the content he and Barbara set a schedule to meet and talk for three hours daily, sharing and explaining some situations to each other for a better perspective for the audience. Who would have thought that a bodybuilder with an insanely heavy raspy voice, would marry the niece of Former President John F. Kennedy? ‘Maria Shiver’ is professionally a journalist, met Arnold in a Tennis Tournament at Robert F. Kennedy in 1977. 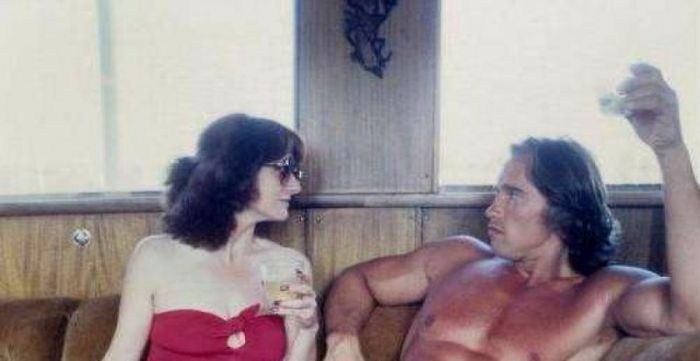 By that time Arnold was already in a relationship with Sue Moray, who was the assistant of Arnold’s hairdresser. Till 1978, Schwarzenegger found himself in a relationship with both of them, you can say that Maria Shiver started out as other women. Of course, Moray and Maria didn’t have any idea at that time, but Sue Moray came to know about it, later. Hence she was the first to break off relationship with Arnold Schwarzenegger. Even after Arnold’s double timing, Maria Shiver is the one who got him to settle down, in April 1986 they got married in Massachusetts. After three years of marriage, the couple welcomed their first daughter Kathrine Urice Schwarzenegger (December 1989), two years later Maria gave birth to their second daughter Christina (July 1991). Arnold and Maria Shiver had two sons, Patrick and Christopher Schwarzenegger. Except these two Arnold has another son, which is his illegitimate child, Joseph. How to grow a beard? Here is a super fast and easy way to do it. The youngest of four Christopher who was born in 1997, that same year Arnold and Maria’s household keeper has also given birth to her son, but at that time Arnold doesn’t have any idea that he was the father of housekeeper’s child. Maria Shiver who was living in the dark brought back to lights in 2011, the year when she came to know the truth. As soon she came to know the truth, she filed for divorce, and that was the end of their 25 years of marriage. Patricia Baena was a maid in the couple’s 11,000-square-foot mansion, whom Arnold had a physical affair with. In an interview with the Los Angeles Times Newspaper, Arnold opened up about this event, he mentioned that he came clean with his wife about what he had done 14 years earlier. But he didn’t say that Maria already found out about his affair, and so he didn’t have a choice except to come clean. The same year when the couple filed for divorce Patrica (The Mistress) also got retired from her job as a maid in Schwarzenegger’s household. When this scandal came in public another friend of Arnold’s claims that he also had an affair with her when he was still married to Maria Shiver. She said that Arnold never showed any seriousness towards his marriage. Later on, we carried out our affair for a long period. Arnold Schwarzenegger daughter, Kathrine is now a 28-year-old beautiful woman, and an author, she has written two books till now. Christina has followed her father footsteps, as she is doing acting professionally. After knowing about his past affair and “relationship”, people have a reason to judge his daughter’s biological status. Is his daughter Kathrine and Christina real children of Maria Shiver? Well, without a doubt two are biologically related to only Maria Shiver and Arnold Schwarzenegger. Well, Let’s leave her father history for a while and let’s talk about the present. The two gorgeous daughters of Arnold are living a very independent life of their own. Where Christina is an actress and a producer, while his sister Kathrine is a writer. While you are at it, go check out the real rumors of Chris Pratt dating Jennifer Lawrence. Did Chris get a divorce because of Jennifer Lawrence? Chris Pratt and Arnold Schwarzenegger’s daughter Kathrine seen a couple of times spending quality time together. They never came out publicly as boyfriends and girlfriends but did as each others Fiance. Yes, It is official Katherine and Chris Pratt is now engaged. According to the source they are planning to have a winter wedding. Despite their 10 years of age gap the couple most likely the sweetest and perfect for each other. During a Lego Movie 2 Interview with US Weekly (ET) Chris Pratt shared some stuff about their wedding, “A little, you know, maybe fall, winter kind of thing and you know, we’ve got a lot to get done,” he said while blushing. Little you should know that they started dating in 2018 and took a very serious step, they are engaged and now they moved into a house in West Los Angeles. Why Do Men Look at other women? There are some secrets which you don’t know!